Mr. Masaki lives alone in a hut in the foothills of Mt. Aso, helping to regenerate the forests. For too long we have been planting and felling trees to provide the materials needed for our world. Now he tells us that we need to start giving back to the forest. 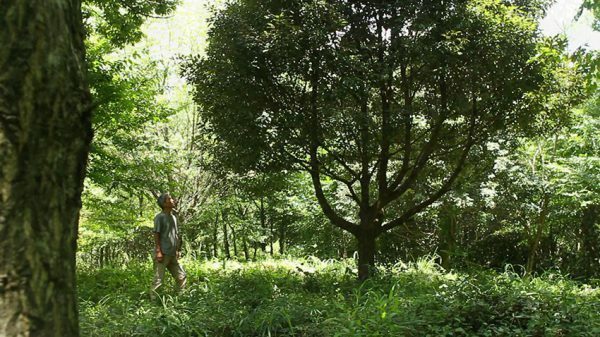 Through his joy in planting trees, Mr Masaki guides us to a new awareness and a sense of grounding. These dialogues express his philosophy and his love of the Earth.